So it has been an awful long time since my last post so thought I would start a new thread. 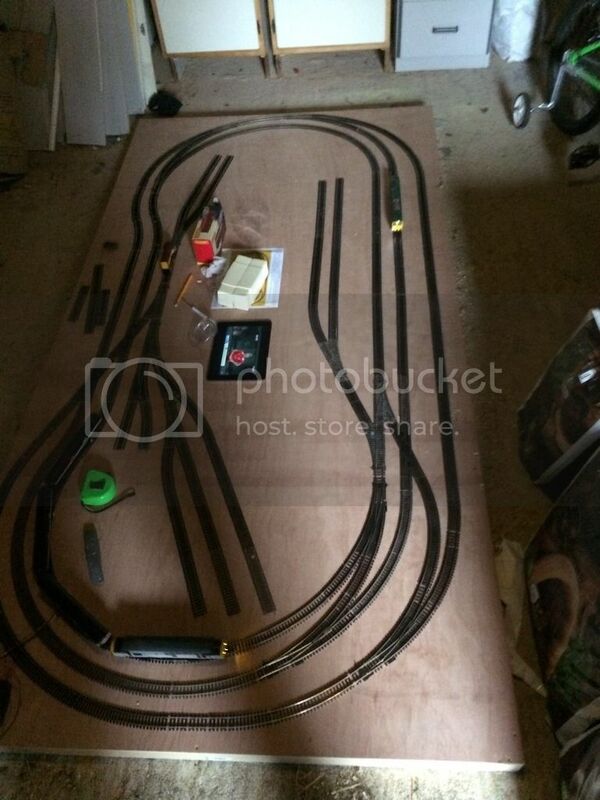 Life gets in the way so getting time to tinker in the garage with “toys” are few and far between. So upon leaving this in the above state for around 18 months 2 years I managed to find time to get back out there and start work again. It also helped that I installed a new strip light in the garage so I can see out there a lot better now. So in essence the back story (in my head) for the station and the reason for the long platform between mainline and branch line is that this is the original station way back when. 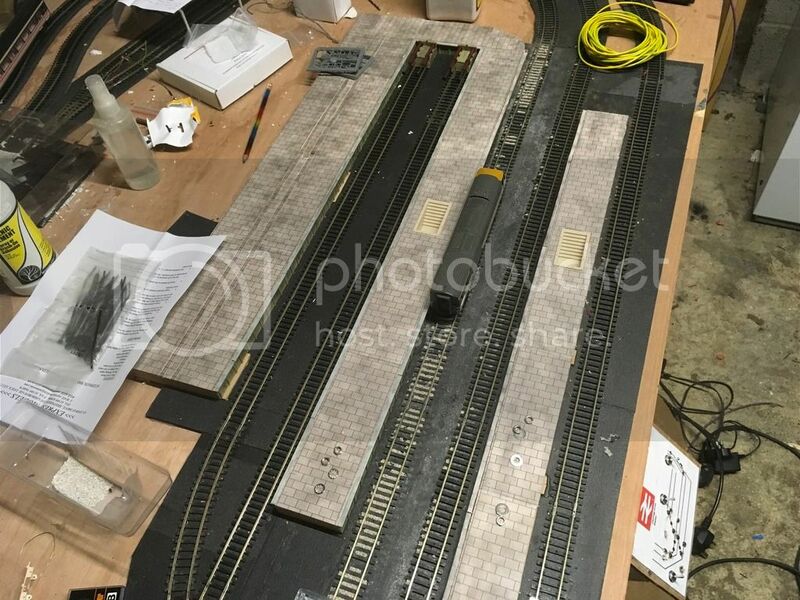 The platform face if the branch line will now be disused to passengers but will have a section left for when my tankers get dropped off for the oil depot which will be the two small sidings behind the station. 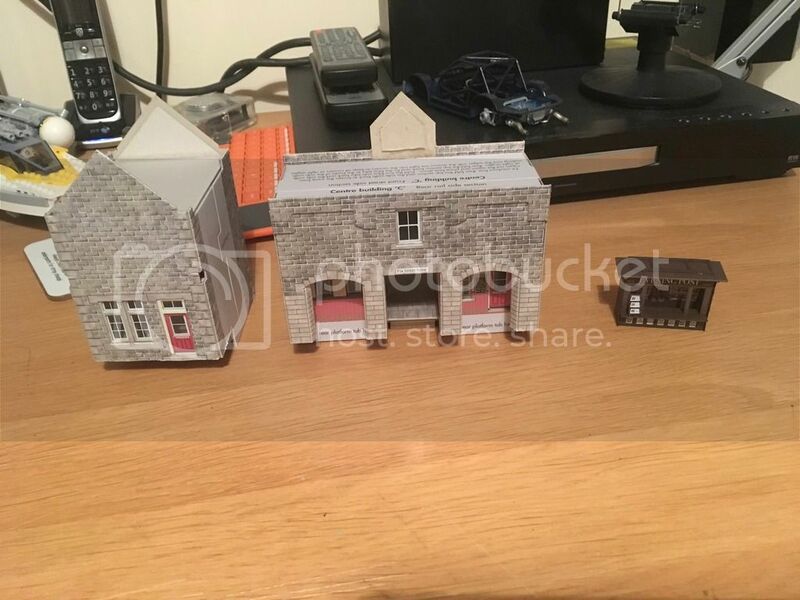 Very small depot yes but want to try and incorporate. The terminus is the new part of the station with my two main line platforms catering to HSTs primarily. The station will be called Cannings Cross, after the village I live in All Cannings. 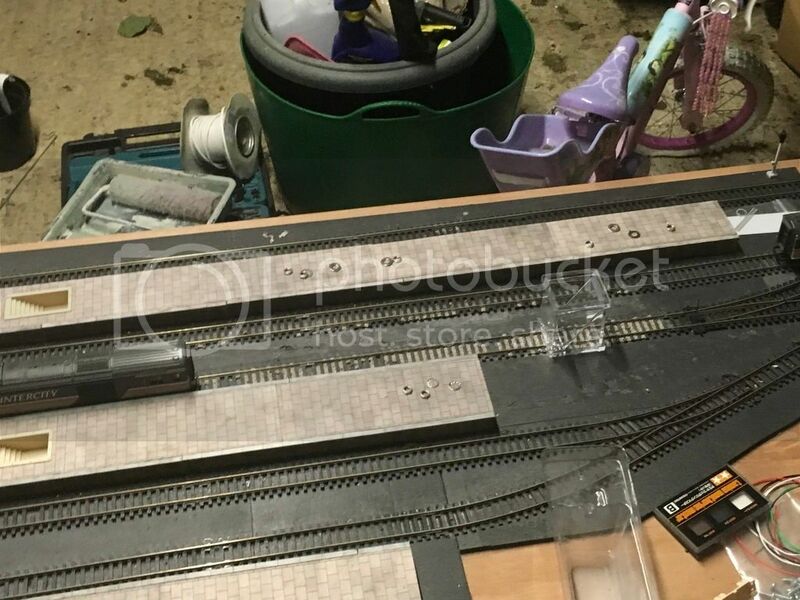 The only other thing I have done is to start installing point motors again and I have added my first 2 aspect signal at the end of the branch line platform. This is not seen on here due to these pictures taken earlier on in the afternoon. 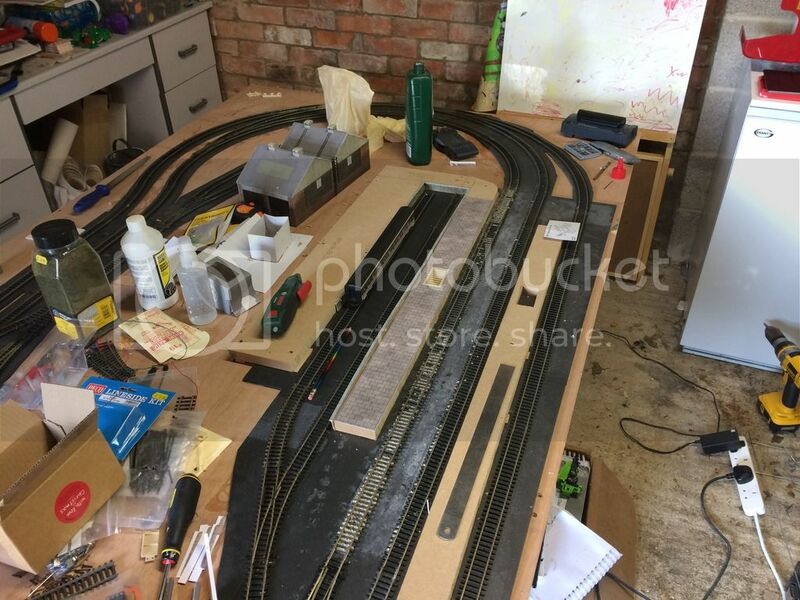 The only thing to add is that the ballasting currently done is going to be pulled up and re-done as I am really not happy with it. Thanks for looking and please excuse the long post but wanted to try and get all the info in there. Is interesting to see a design laid out. 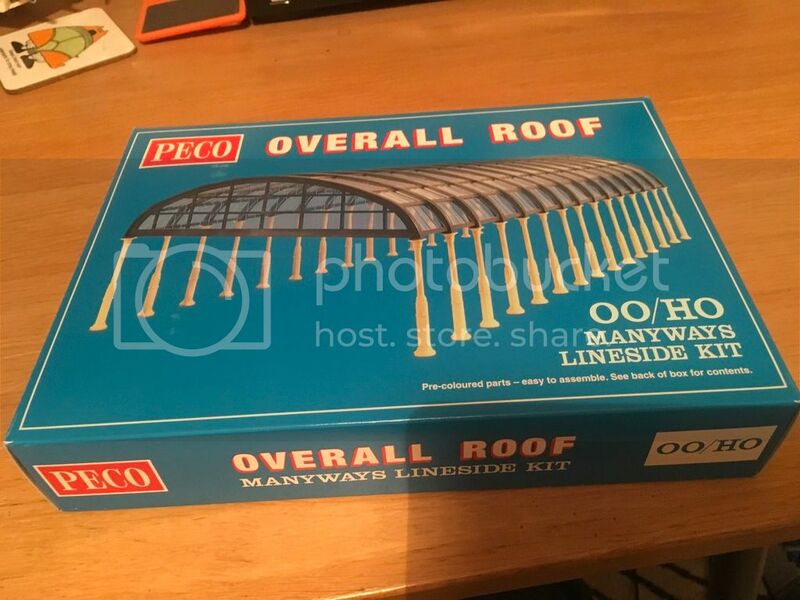 I found those Peco platform edges to be a little difficult to get right so I made my own edges from card. Well done for making them work. Not easy getting everything to fit into a small space. You've done well there. 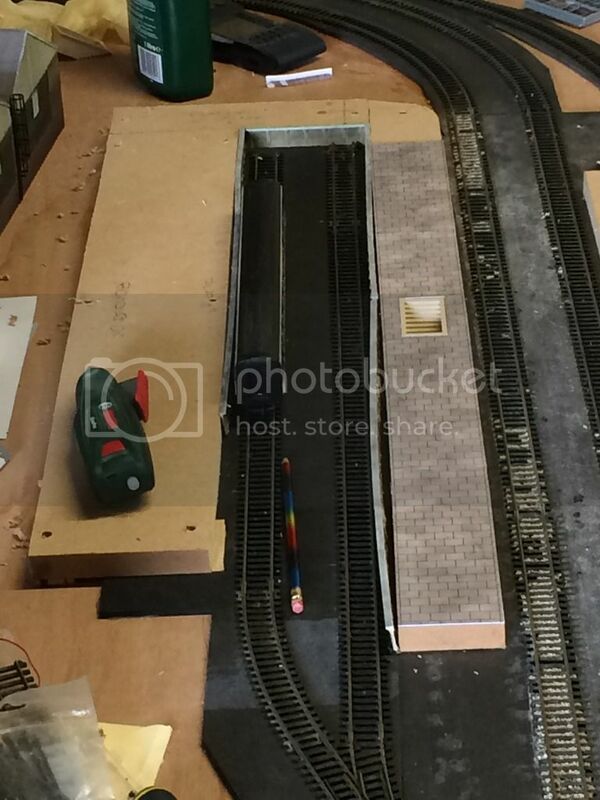 The platform edges aren’t quite right as yet, still trying to get them to sit right. Had to use my Dremel to remove the feet and top pieces so that they will sit as flush as possible. 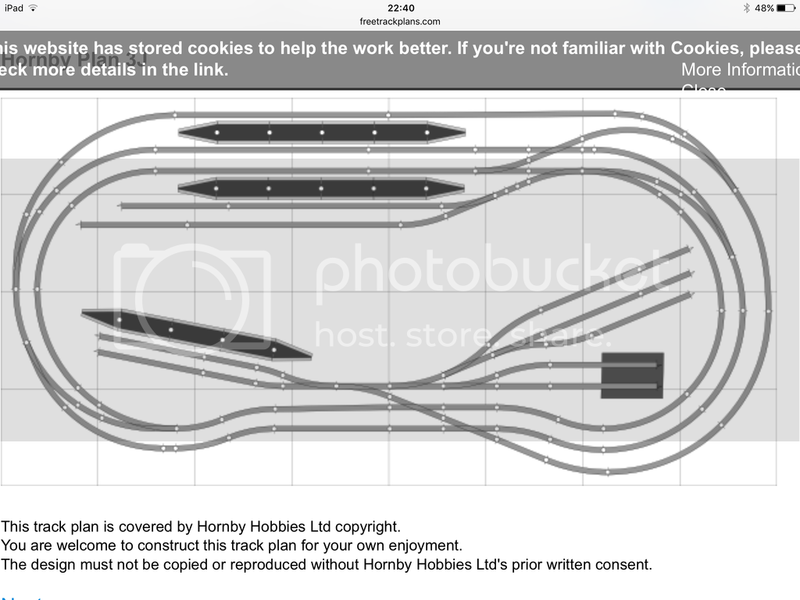 I am not very good at thinking of how to get the track laid so thought would try this route. My worry is am I trying to do much in the available space but time will tell. 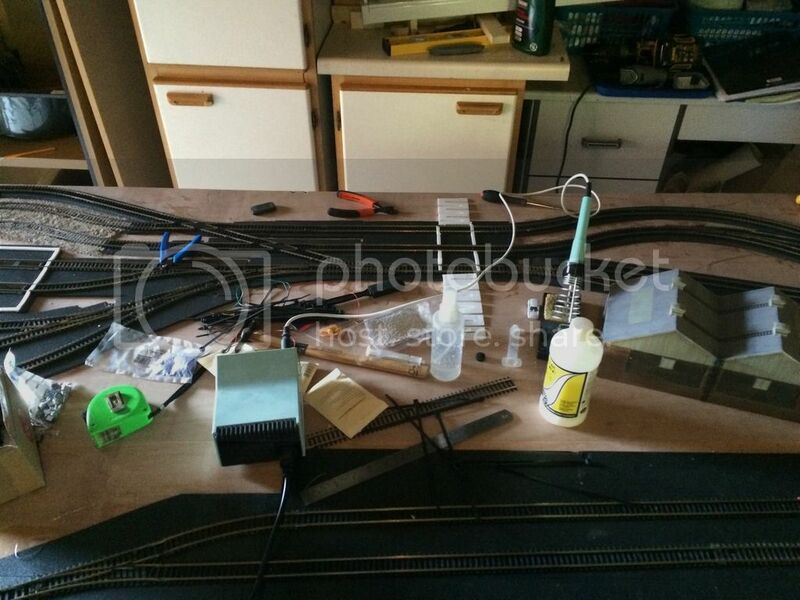 Next project is continue you with point motors, signals and my auto level crossing gates. Need a couple of more reed switches for it to fully work. Also looking for some ground signals for around the TDM area. 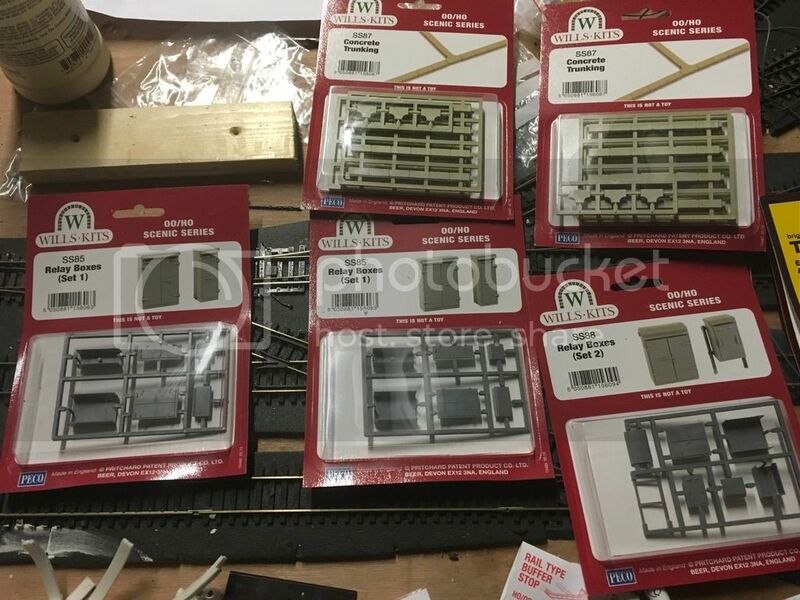 Found some Eckon ones but not sure as cannot find a great deal of info on them. 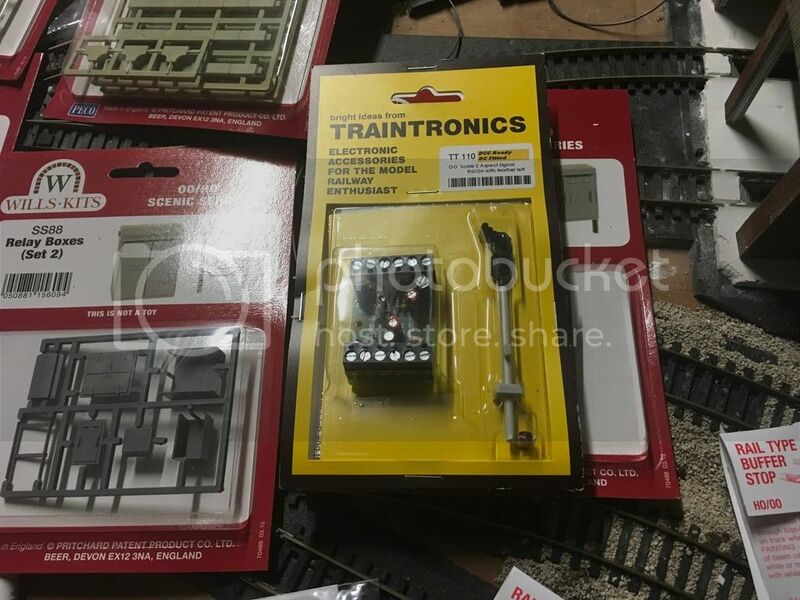 Traintronics don’t seem to do any and quite like there signals. lamby wrote: Also looking for some ground signals for around the TDM area. 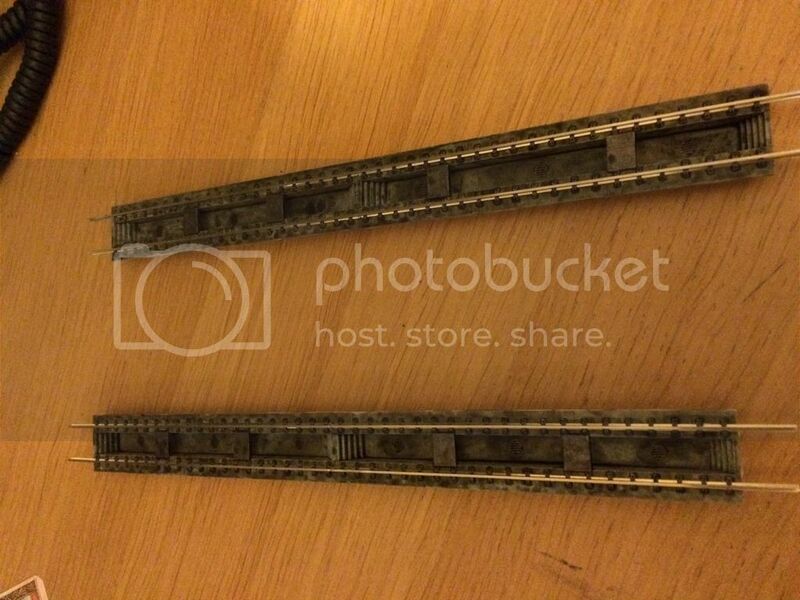 Found some Eckon ones but not sure as cannot find a great deal of info on them. Traintronics don’t seem to do any and quite like there signals. There are three main types I saw on the railway (As in designs). One is the disc type that has been in use for years and still about today. Second are the colour light type which normally show a white and a red light meaning stop, and the proceed aspect is when the red light switches off and a second white light at an angle shows above the other white light (Which always shows). 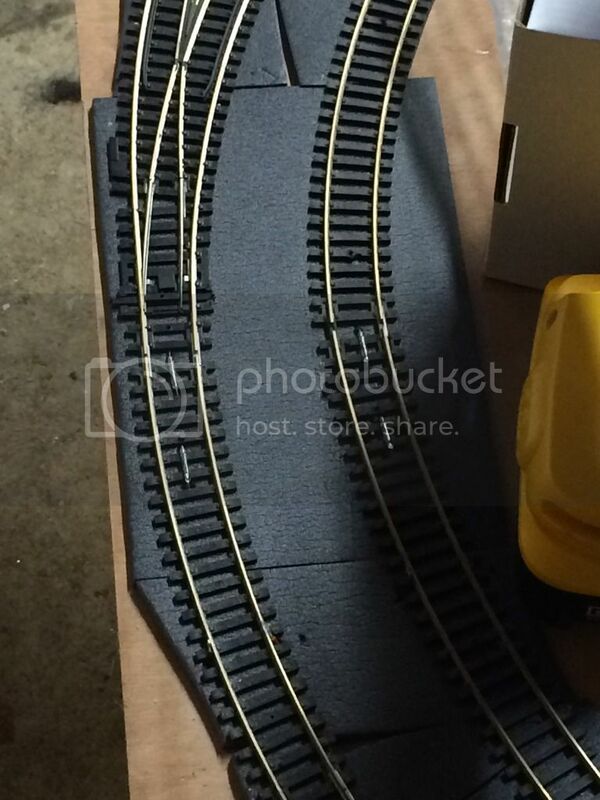 There is also a version with a yellow light instead of a red light for use with headshunts. A newer version of this from about 2005 onwards uses LED's and shows two red lights, and one red switches off and the other changes to white with a second white light showing above at an angle. This is just the updated form of the previous signal using LED technology. Hi, yeah I think I may go with triple lights as trying to model from late 80s through to privatisation. So I managed to test my Kadee’s today. 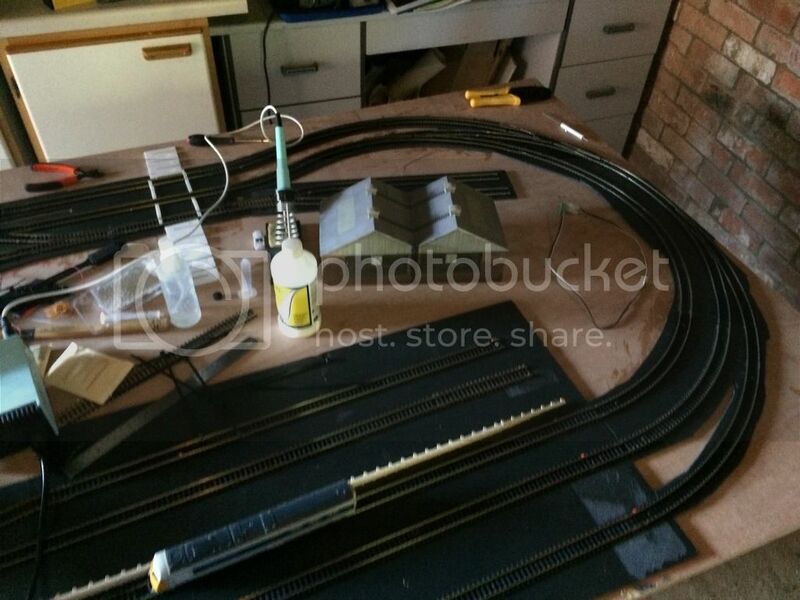 My rake of tankers as well as the class 37 and 08 have had them installed. 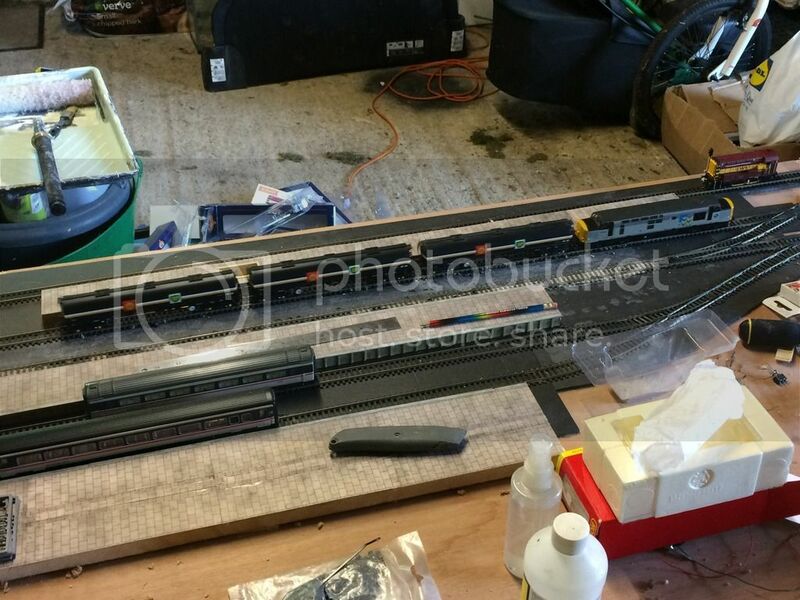 Have positioned 2 magnets towards the end of the platform on the branch line. These all seem to work well so shall be grabbing some more. 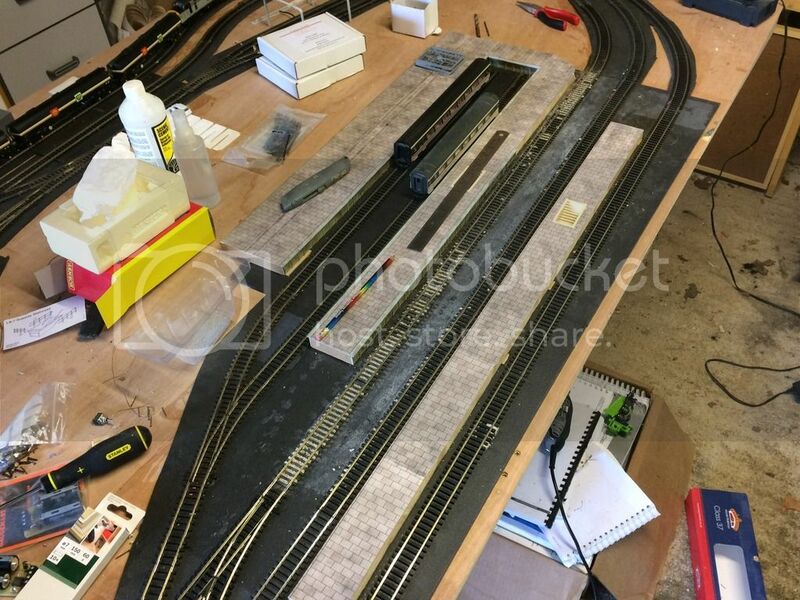 As can be seen the platform tops are complete and have started the edging but have run out so cannot finish this at the minute. Was going to start wiring up the point motors but when ordering new LEDs and a few other bits I forgot to order 1k resistors. So this is on hold at present. First things first, excuse the mess, tidiness is not my strong point. So another weekend and more time to tinker in the garage. 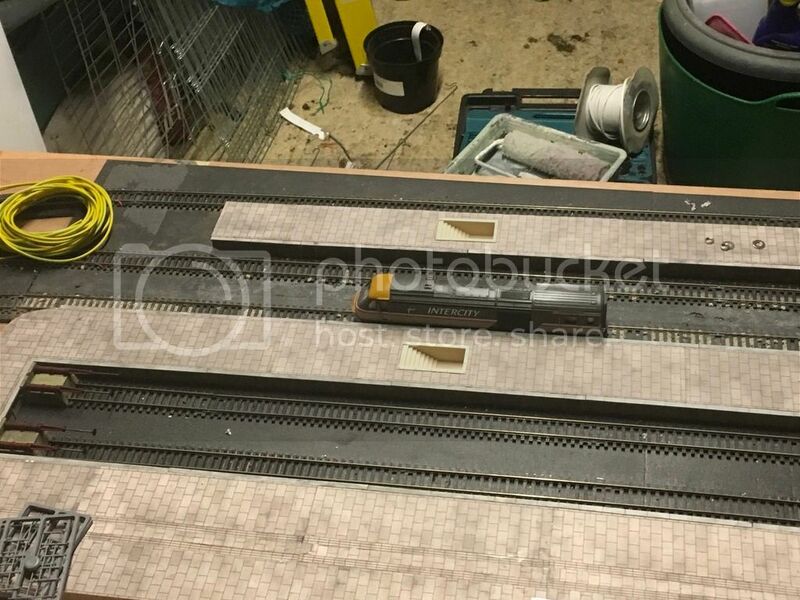 I have started to install my point motors but have come across a few “funnies”, basically not quite got them allighned correctly and got bored so started something else. 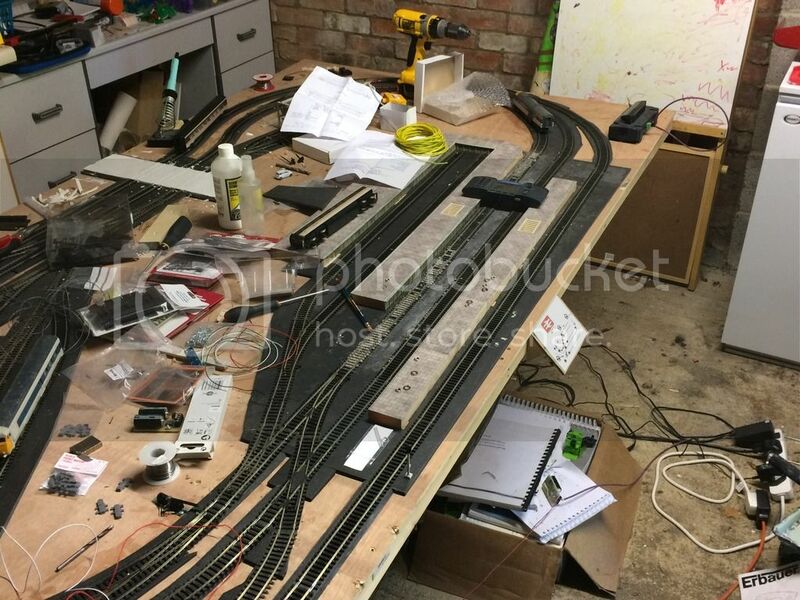 So this gave me the opportunity to start working on the control panels for points, as well as making a start on my level crossing and the TMD area. 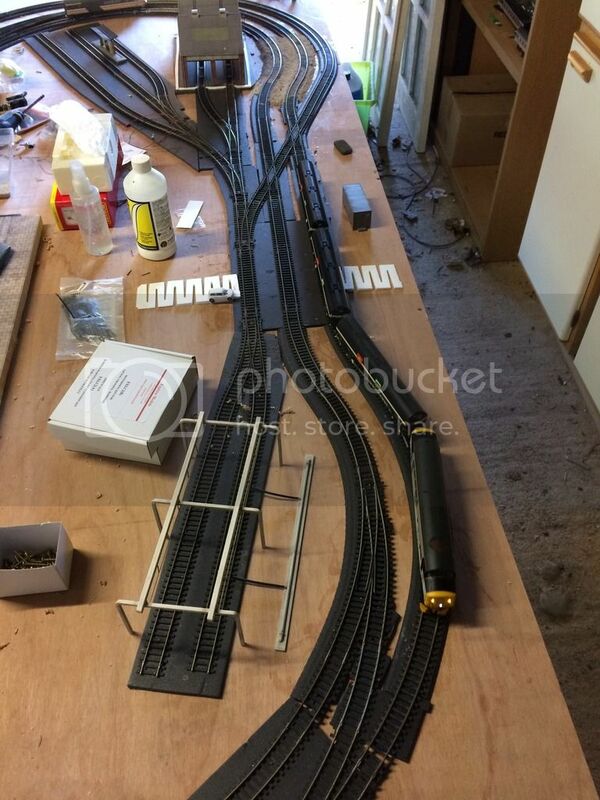 Please excuse the horrendous ballast, this needs to be taken up and redone. 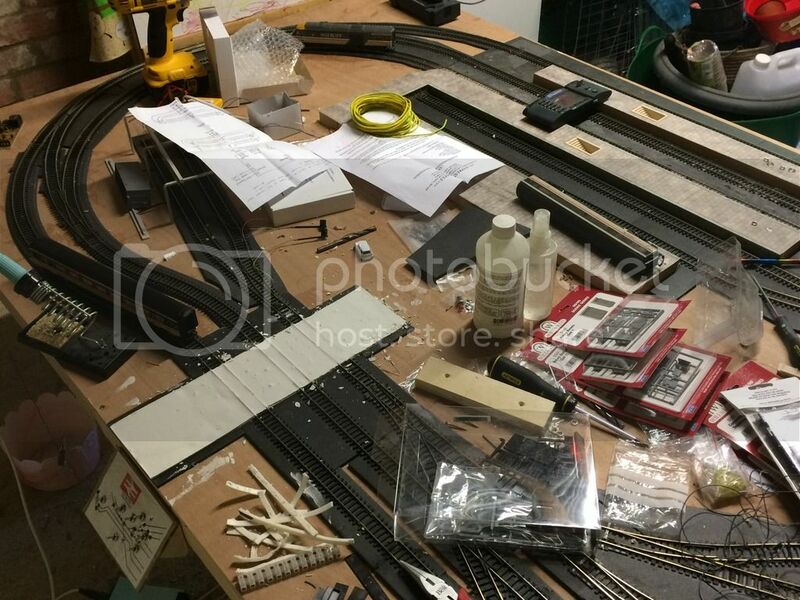 So I need to find something to hide the reed switches. I have never known a component be so fragile. Think I broke half a dozen. Still need to fit a few more but need to work out the best placement for them. 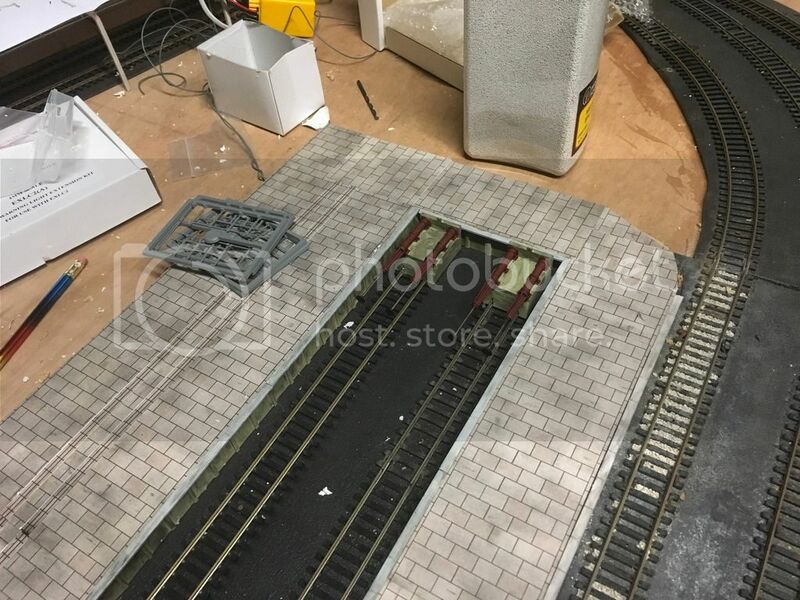 Also need to do a little more with the road for the level crossing as it needs to go to the TMD area, also to where my small oil depot will be and to the station. Trying to pack in a lot to a very small space so will be fun. Then back onto the joys of the point motors. Need to also do something with the panels as I am not 100% happy with result so these will be temporary. oh one question what is your platforms covered in?? Hi, yes I think you are right a list would be a good idea. I just got frustrated by the point motors and thought I would leave it. 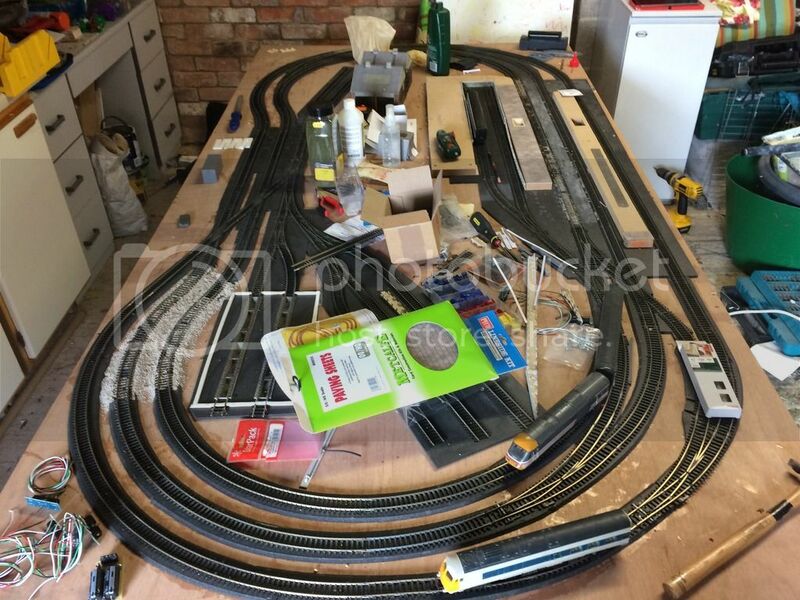 I have run out of a few things as well like platform edging so that is on the back burner till I order some more. 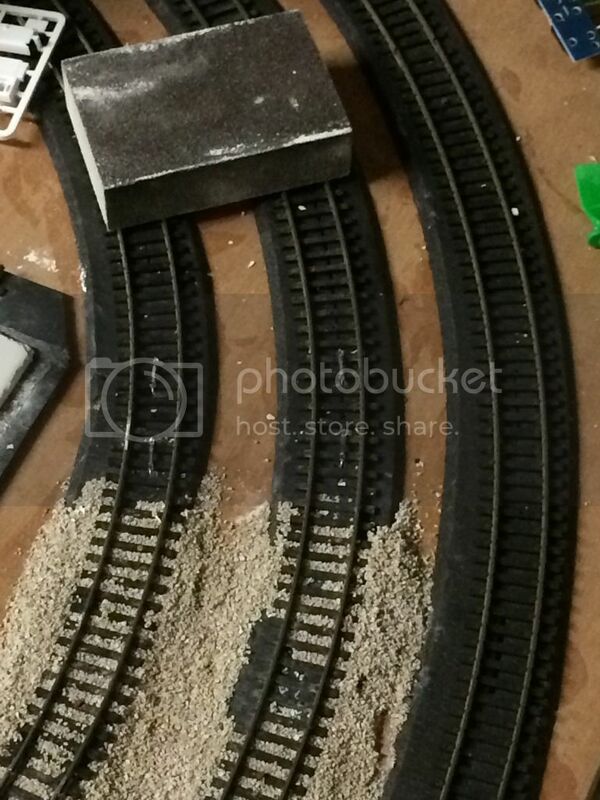 With regards to the platform tops, they are a Metcalfe paving set. Thought I would use this as the standard grey tops seemed a little boring. It is not perfect, but that is more down to my inability to cut wood straight. But I got the effect I was going for. Nice to see someone else using foam instead of cork! 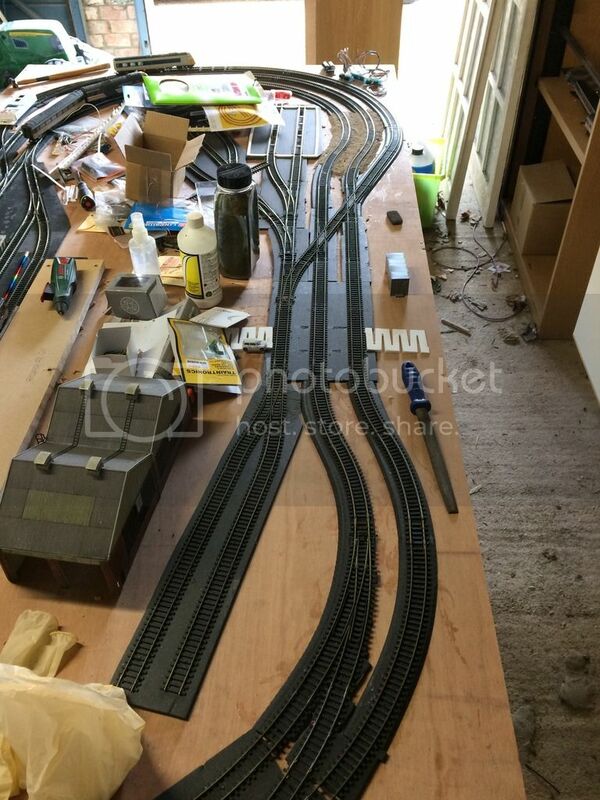 Wonderful layout in sight. I will follow your work with a great interest. lamby wrote: Hi, yes I think you are right a list would be a good idea. I just got frustrated by the point motors and thought I would leave it. 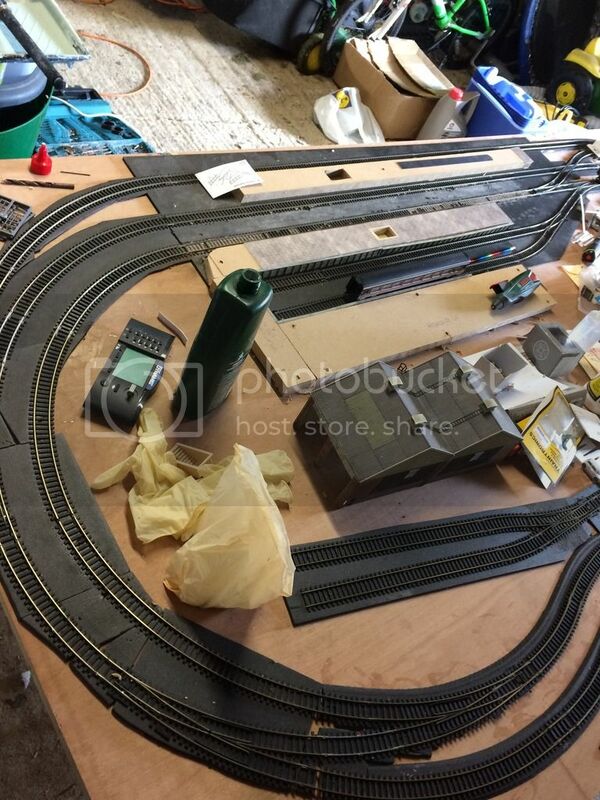 I have run out of a few things as well like platform edging so that is on the back burner till I order some more. Getting point motors right is very fiddly but there is jigs you can buy that help line it all up, YouTube could help getting some tips? I'm interested in what you are doing with the reed switches. 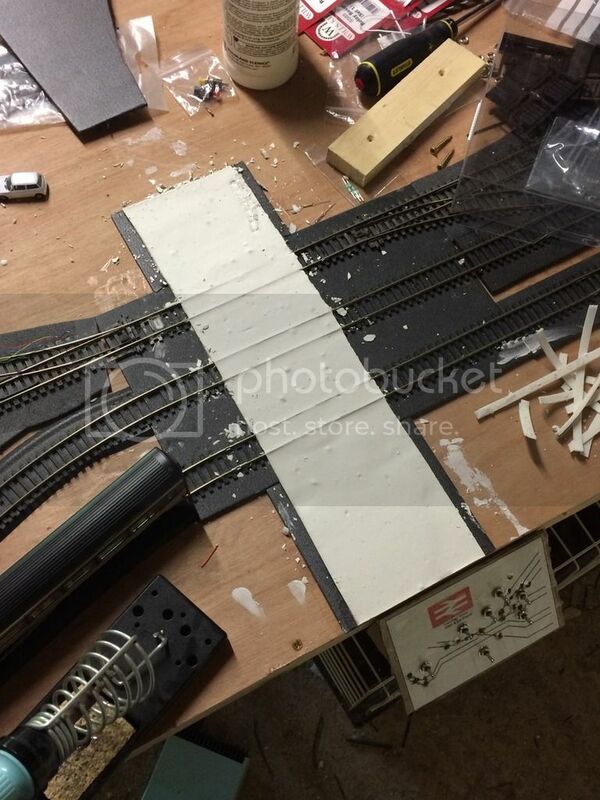 How do they activate the level crossing? Do you have some circuit design you are following? 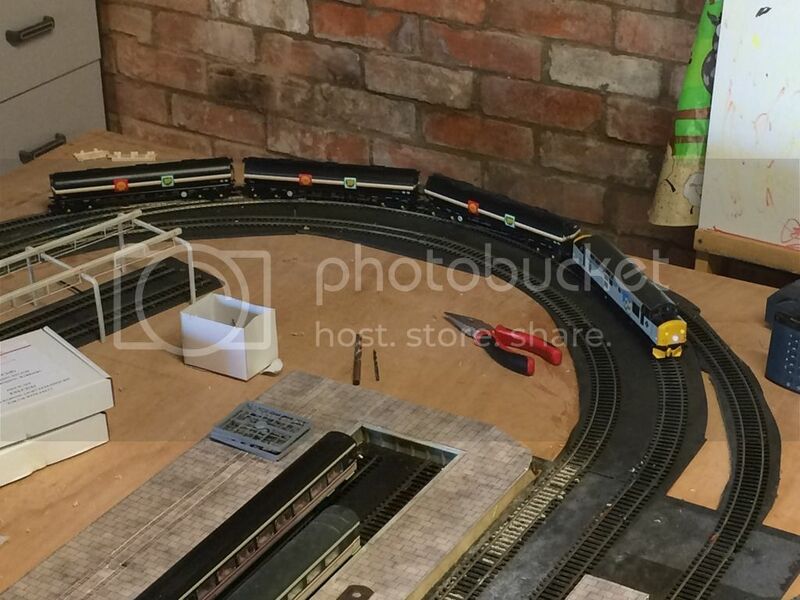 Do you need to attach magnets to the trains? I do not think I mentioned it to be fair. I don’t think I fully explained properly but the advice around the list is a very good one so will be using. 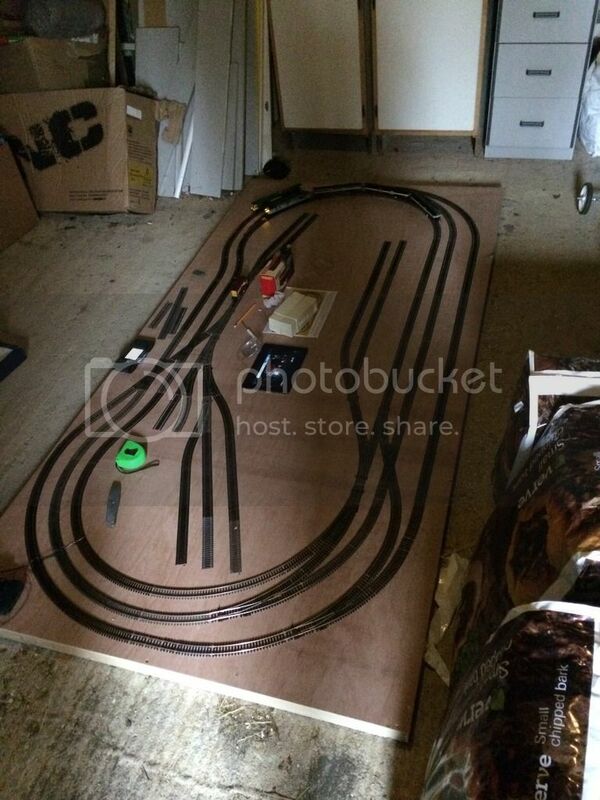 Yeah I thought I would try the foam as a track bed as it seemed easier for my self to work with. 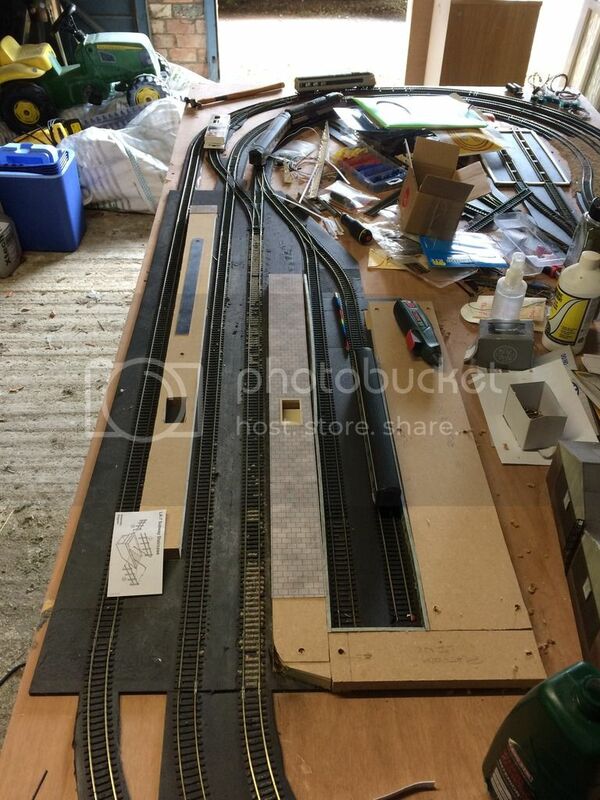 Not very pretty but scenery and ballast will cover the vast majority. I had not thought about the road cracking. I shall keep an eye on that as may have to re-think this. 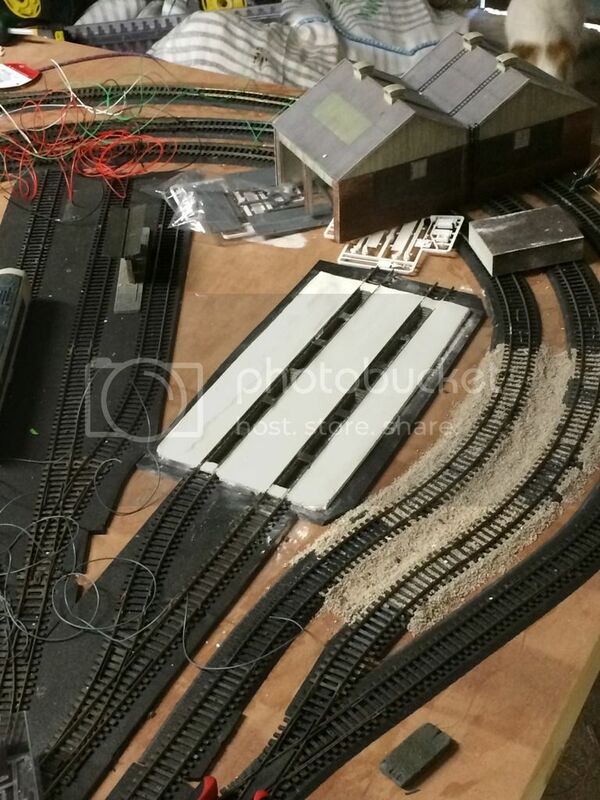 The engine shed area end has been down a few weeks and has survived so shall see what happens. 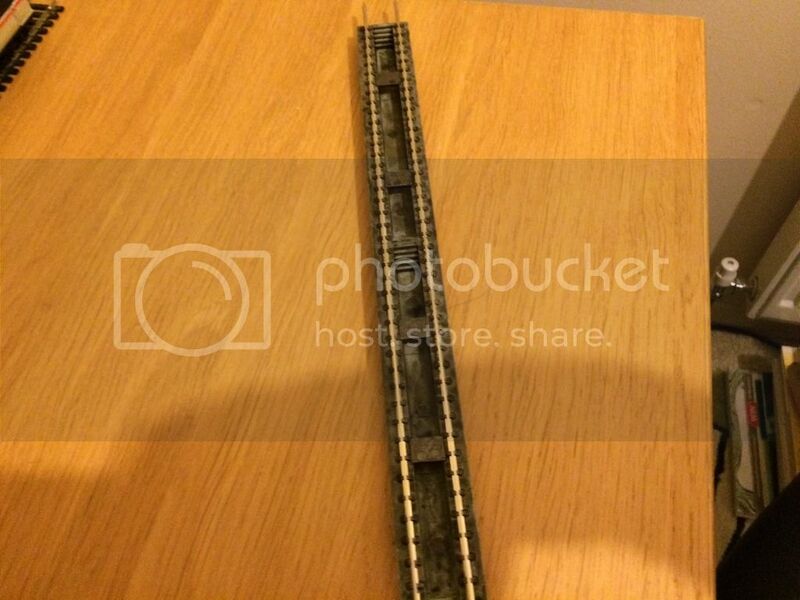 With regards to the reed switches being close together I am planning on having trains run in both directions so in essence need an “on” and “off” at each end hence being so close. 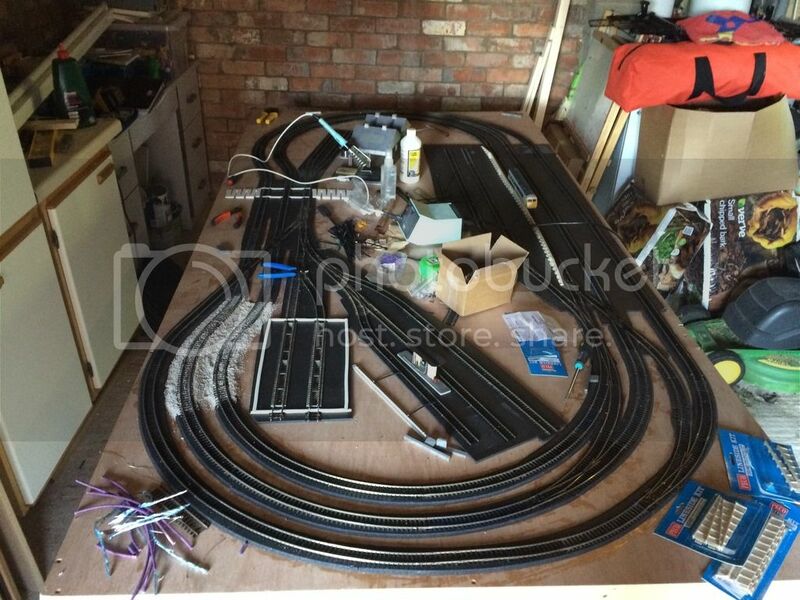 The reed switches will be activating a small circuit that will activate the level crossing lights, alarm and the barrier motors. 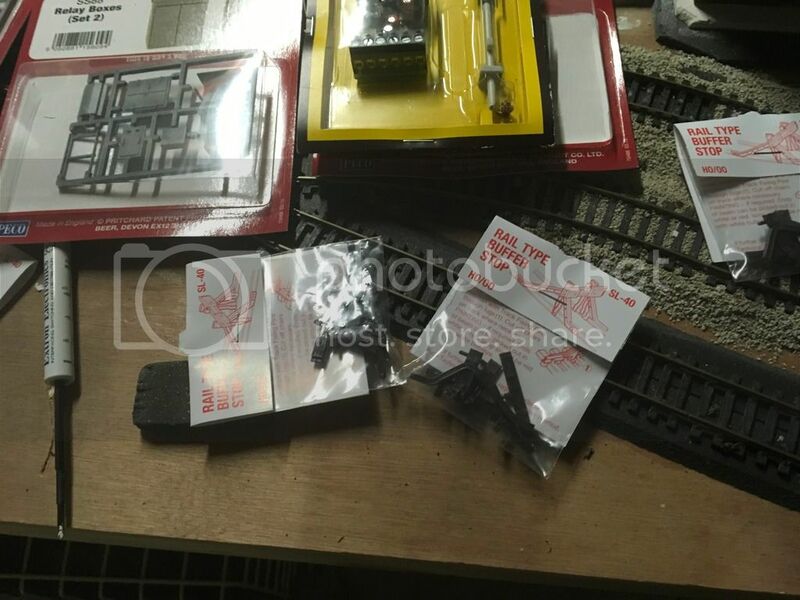 I bought a kit from Express Models. 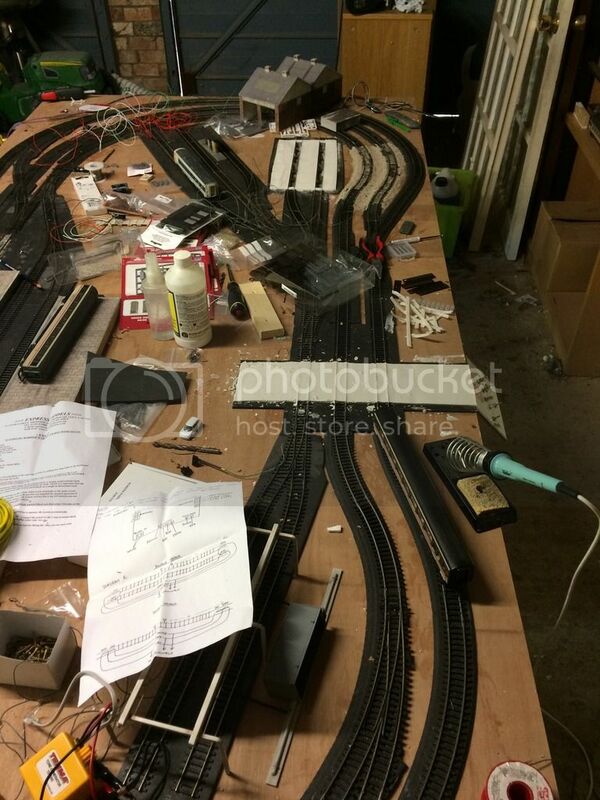 The kit is pretty straight forward. You just need to get the barriers to go with it. 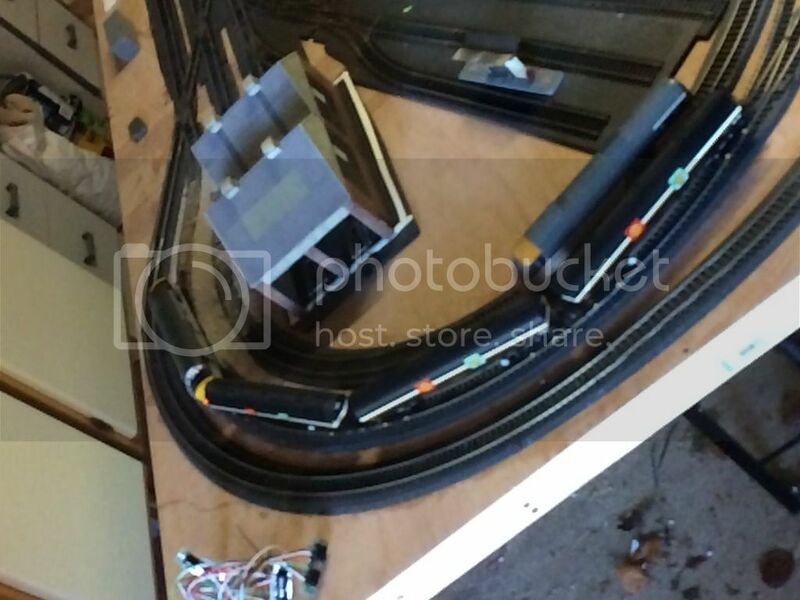 Magnets are required to activate the switches, so there is an off switch before the on switch so that when the train passes it does not deactivate straight away. There is also a manual switch you could add in there as well if you wish. Longvallon wrote: Wonderful layout in sight. I will follow your work with a great interest. So it has been quite a while due to lots of stuff going on but managed to do a few bits. 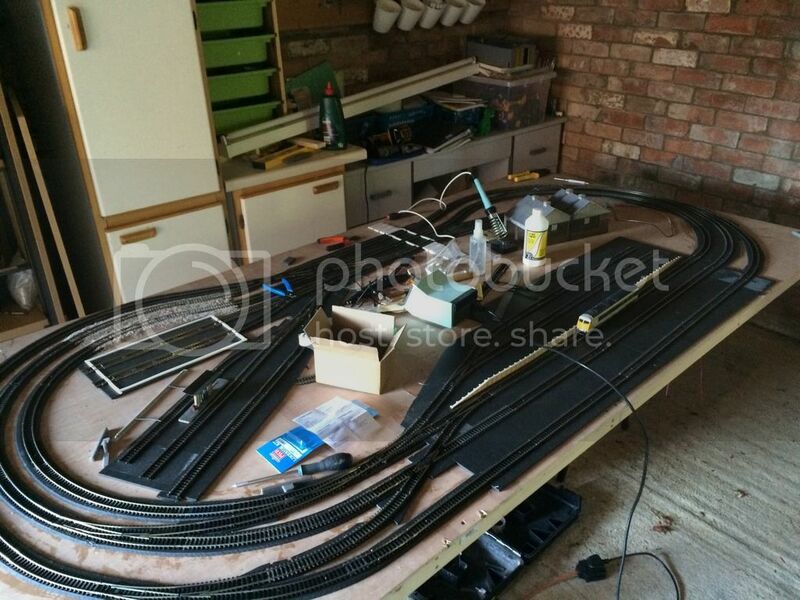 Purchased amongst other bits some more platform edging and some buffers for my station. Still got one side of the island platform to complete but platforms almost complete bar the ends. Need to figure out how to do those. 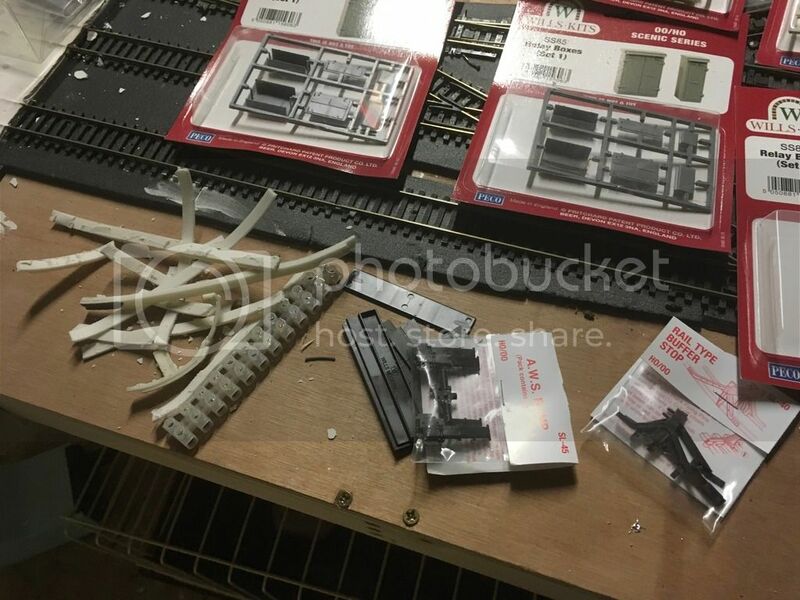 I have also purchased a load of line side detail pieces to install before any ballasting takes but they should make things look more interesting. Also bought another signal to install. 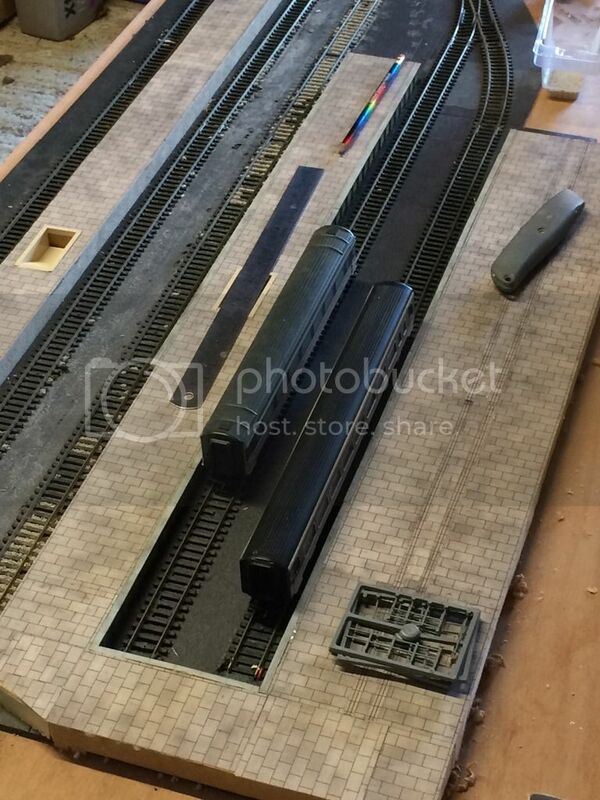 Also decided on my station building at long last which is part way through construction. Having to modify it slightly to work with my platforms but seems to work quite well. And lastly could not resist buying this!! 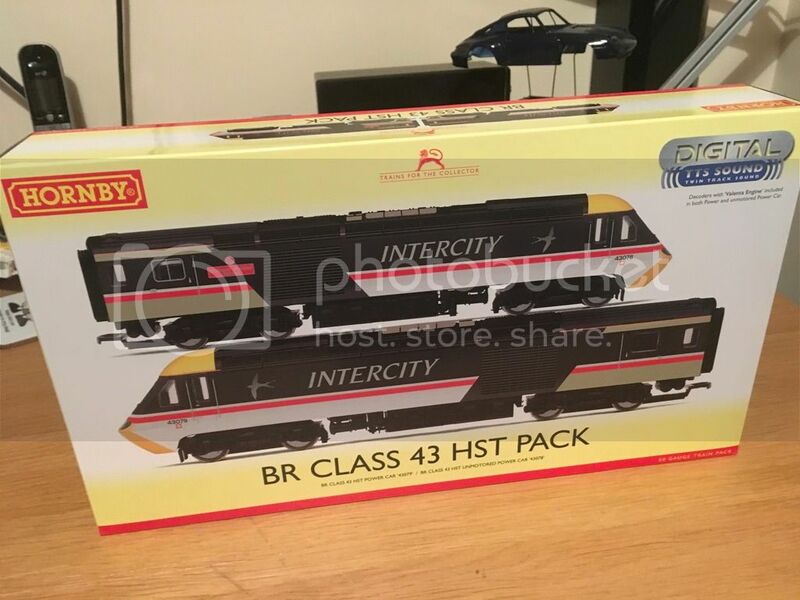 Wanted a newer version of this for so long as my existing ones are original Hornby models and the price I got it for was mad not to have bought it. Not ran it yet but will hopefully get it going over the weekend!